The hilarious New York Times bestseller “sharply observes the lives of globe-trotting, overindulging investment bankers” (Entertainment Weekly). For three years, the notorious @GSElevator Twitter feed offered a hilarious, shamelessly voyeuristic look into the real world of international finance. Hundreds of thousands followed the account, Goldman Sachs launched an internal investigation, and when the true identity of the man behind it all was revealed, it created a national media sensation—but that’s only part of the story. 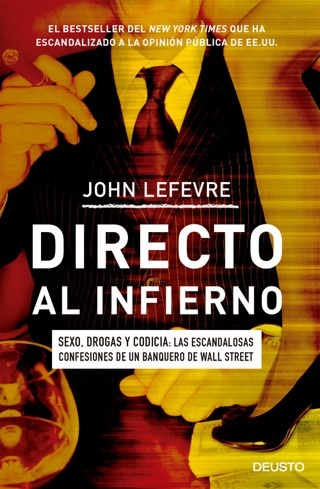 Where @GSElevator captured the essence of the banking elite with curated jokes and submissions overheard by readers, Straight to Hell adds John LeFevre’s own story—an unapologetic and darkly funny account of a career as a globe-conquering investment banker spanning New York, London, and Hong Kong. 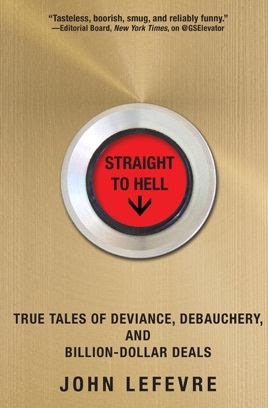 Straight to Hell pulls back the curtain on a world that is both hated and envied, taking readers from the trading floors and roadshows to private planes and after-hours overindulgence. Full of shocking lawlessness, boyish antics, and win-at-all-costs schemes, this is the definitive take on the deviant, dysfunctional, and absolutely excessive world of finance.